Camden cycle (Cheap bicycle in Camden) make every effort possible to ensure that all our bikes are legally obtained. We try our best to check our bicycle with authorities and with our stolen bicycle database. We get most of the Used bicycles in Camden from Police Auctions, Council Auctions, Bicycle Company Auctions and recycling units. All bicycles at Camden Cycles are fully serviced and test ridden before sale. When we service our bicycles we thoroughly inspect and check every single part. We make sure that plenty of life is left and change any defective parts with same or even with higher standard. We do more than THIRTY safety checks (Bicycle MOT Checks) when we service our reconditioned bicycles. We test ride them before selling. We are so confident about the work put in our bicycle that we invite and encourage everybody to come and test ride before you buy. Ride the bike home today and if you think for any reason “This bicycle is not for me” bring it back and exchange without losing any value of your bike. All of our bicycles come with one month free service period and two weeks exchange period. We try to keep bicycle for every age group and for every type possible. In our showroom at Eversholt Street has capacity of display more than 100 bikes. Our price range usually starts from as little as 70.00 GBP to 700.00GBP. We are specialized our self in vintage classic and hybrids. We also sell vintage/unusual/quality parts and frames. We are very conveniently located in London just outside the congestion zone and 1 minute walk from Morning ton Crescent Tube Station for details visit ‘Contact Us’ page. We provide servicing, tuning and overhauling of every kind of cycle visit ‘Repairs/Service’ page. 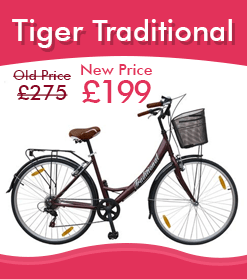 All our bikes are given an exceptional service before they are sold. We go above and beyond the existing regulations for second hand bike sales and all of our bikes are sold 'ready to ride’. 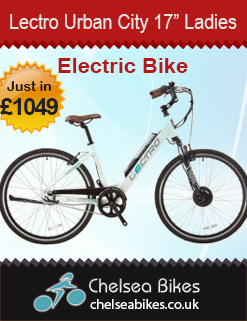 Almost all bicycle manufacturers are agreed that there would not be any manufacturer warranty if e bicycle is sold in a flat packed box and been put together by nonprofessional. Normally internet suppliers can’t do the first tweak/service which is an absolute necessity. If the bike comes damaged or any part seems faulty or bends then normally it takes good 4 to 6 weeks to get the right one back. Normally very poor customer services by online suppliers. Ask yourself which is more likely to sell a quality, reliable, well set-up bike: A local bike shop that you could take it straight back to if you were dissatisfied in any way or a business with a web site as the middle man and hundreds of miles between you and them? Don't get us wrong, you can buy excellent value quality bikes online and some bike shops can rip you off. 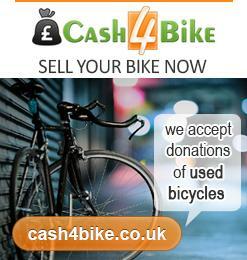 But you cannot buy a new/secondhand bike of any quality for silly money. You get what you pay for.